Tascent has announced a pair of product launches to significantly broaden the application range for its core hardware and software technologies. 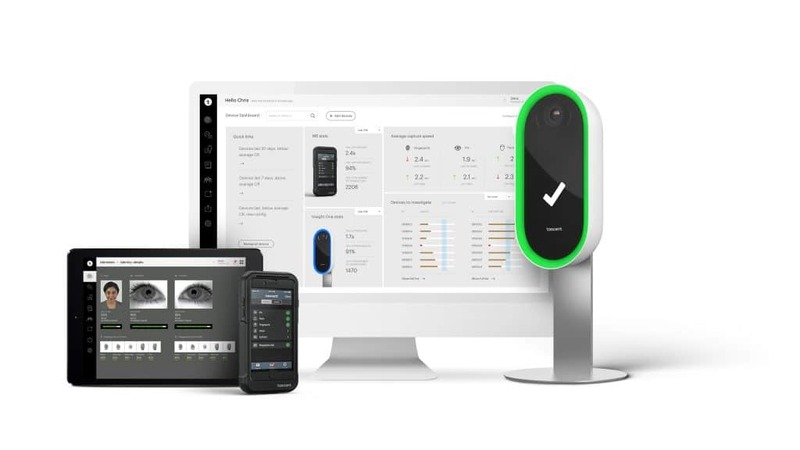 The Tascent Enterprise Suite enables deployment, operation, and management of biometric systems, while the embeddable OEM Module and self-service ID Station products are based on its flagship InSight One face and iris recognition solution. Expanding the accessibility of biometric technology for different users, markets, and verticals is central to the vision of Tascent, founder and co-CEO Joey Pritikin told Biometric Update in an exclusive interview. The company was founded in 2015, but traces its roots back to AOptix, where similar capabilities have been in development since 2007. With the InSight One launched in early 2017 to build on the capabilities of the InSight Duo, which is used in airports including Dubai GDRFA and London Gatwick, Pritikin sees the current slate of launches as an opportunity to further expand the reach of intuitive biometrics. “We saw a huge gap in terms of usability, and really focussing on ease of use combined with really high quality biometric performance that would work in challenging real-world environments and that if we did those things, we would be able to unlock new applications and solve problems for our customers that weren’t being solved otherwise,” he says. The new Enterprise Suite software provides a set of identity services, including multimodal matching and storage by its Identity Engine, as well as identity apps, transaction management, device management, and transactional analytics. The interface has a familiar look, designed to make it natural to use. Enterprise Suite is based on open architecture, providing the flexibility to integrate with devices from Tascent or a third-party provider. It can provide different modalities and combinations as required by the customer, and can also be integrated with existing back-end identity capabilities and biometric applications. All of both the hardware and software developed by Tascent is based on open architecture, which is another key part of its approach to accessibility, according to Pritikin. The company works with customers to understand their needs, and with partners to deliver solutions that directly address them. “We asked ourselves: ‘How do we bring the best of what Silicon Valley does to biometrics?’” Pritikin says. The approach enables Tascent to be flexible in how it fits technology to the specifics of customer deployments. The Tascent Insight One OEM Module is designed for seamless touchscreen kiosk integration, and leverages the Insight One’s large capture zone and intuitive user experience. The Tascent Insight One ID Station is a small-footprint modular pedestal for self-service biometric enrollment and authentication. It can be integrated with a fingerprint scanner, MRTD, or barcode scanner for a wide range of potential use cases, including visitor management, KYC applications, payment authorization in vending machines, personal identification at ATMs, hospitality check-in stations, and passenger facilitation for air travel. In addition to the new products, Tascent has also announced it has formed a collaborative partnership with airline passenger self-service solution provider Embross, which can integrate items for specific use cases, such as ticket printers. With sales offices in Washington, D.C., London, Dubai, and Singapore, Tascent has grown into a global company, largely through partnerships, according to Pritikin. The company picked up a 2017 Good Design Australia award for the InSight One, and Pritikin says that along with open architecture, its focus on design is another part of its mission to make biometrics easy to use. Pritikin is excited about the next stage of Tascent’s growth, but also for the industry as a whole. The success of Apple’s biometric features not only helped instigate the change, but is a testament to the importance of transparent, effortless user experience, according to Pritikin.